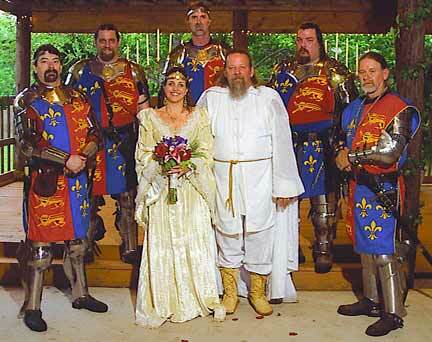 A Renaissance Wedding - An event fit for a King and a Queen! 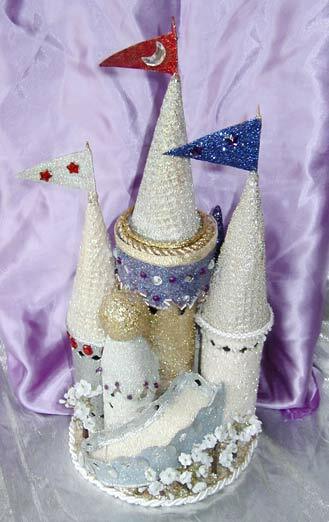 The theme was medievil England - a time of Knights, Castles, Dragons and Damsels in distress. 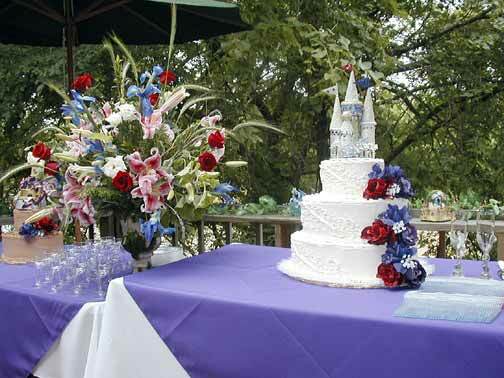 But this event took place on the banks of the Colorado River in Central Texas. 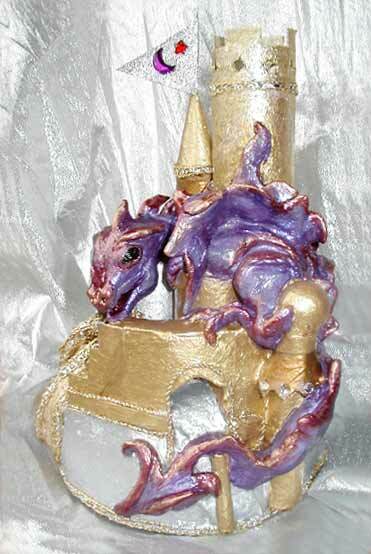 The Lord's castle has been invaded by a Dragon! 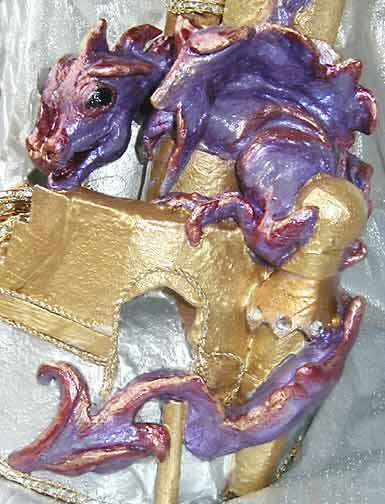 The Dragon was sculpted from White Chocolate. Milady's castle is safe! 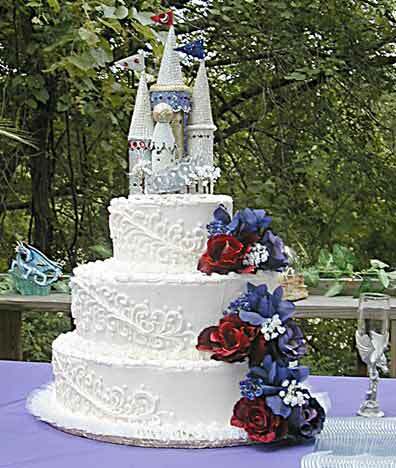 The Bride's cake was a beautiful hill top Castle. The Bride chose Purple and Red for her colors, and they worked beautifully in this outdoor setting. 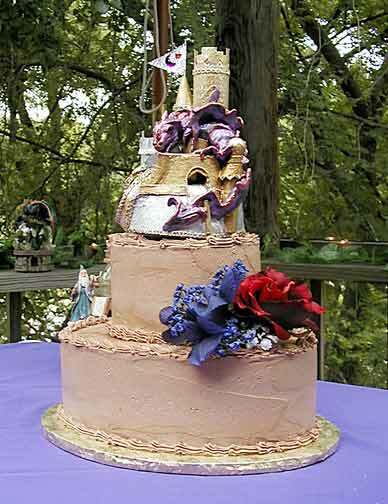 Designs By Delights created these wonderful cake toppers and all of the flowers seen on the cakes to accent the renaissance theme.